Are you wondering how to create a shopping website? Look no further. With Ecwid you can add a shopping cart to a new or existing website in just a few steps. Get functions like a secure checkout, an “add to cart” function, and everything you need to turn your site into an online retail machine. Ecwid stands head and shoulders above competing e-commerce platforms because it is embeddalbe, fast, easy but still robust and customizable. No matter your unique needs or uncommon business processes, Ecwid is entirely efficient and customizable, enabling you to operate your e-commerce store exactly as you see fit. While different levels of Ecwid features are available at different paid price points, your business can still go far with even just a free plan. Ecwid seamlessly integrates with your current site to enable your e-commerce operations. Your site’s design is preserved entirely, and you need no programming skills at all. Add your store to as many additional sites as you want and manage it all from one place. Any changes you make are mirrored instantly across all your sites. Whether you’re selling on Amazon, eBay, Tumblr, Facebook, or all of them at once, Ecwid makes this kind of omnichannel e-commerce operation as easy as possible since all your storefronts are synchronized. Your inventory is available for purchase within web browsers, on mobile phones, on social sites like Tumblr and Facebook, and even on well-established marketplaces like eBay and Google Shopping. 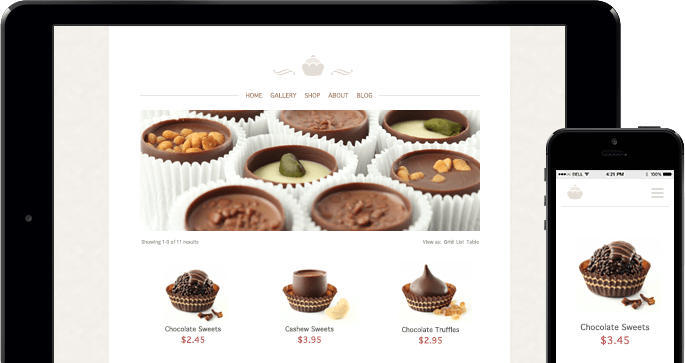 No matter how your customers find you, your store will look great on any device. An Ecwid shopping cart integrates seamlessly into your site to make your customers’ shopping experience (and your backend management) as effortless and comfortable as possible. It is straightforward and stress-free to get started with Ecwid’s shopping cart software. You don’t need to know any HTML at all. After you sign up for a free Ecwid account, only two steps remain to get Ecwid running on your website. You’ll have your store up and running in minutes, leaving you ready to add items, process payments, and build your business. Customers shopping your products with an Ecwid shopping cart will have access to rich, experience-enhancing features. Your new store is built with AJAX on a dedicated Amazon EC2 server courtesy of Ecwid; it loads lightning-fast. You will be able to easily manage your inventory, promotions, payment options, shipping options, and more. Ecwid gives you complete control over your customers’ e-commerce experience, making it easy to focus on growing your business and managing your website instead of fretting over small time details. Ecwid’s shopping cart is available as a feature-rich version at no cost, but we also offer a range of paid plans that support additional premium features. Once you’re up and running, your Ecwid shopping cart will also receive seamless updates and improvements as we release them—they will be automatically integrated into your Ecwid setup. Our revolutionary e-commerce app can be set up in a matter of minutes, is easily managed, and smoothly integrates into your existing website. For international customers, Ecwid offers a huge and ever-growing variety of built-in language translations both on the backend and for your storefront. With Ecwid’s WordPress e-commerce plugin, you’ll be able to control a tremendous amount of functionality for your online store with the greatest of ease. 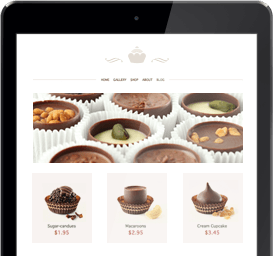 Maximize your business’s potential with Ecwid and adding shopping cart software to your site. We also offer a variety of paid plans that incorporate premium features to implement as your business grows. Ecwid’s robust shopping cart software can be set up in a matter of minutes, is easily managed, and is smoothly integrated into your existing site so add a shopping cart to your website today!